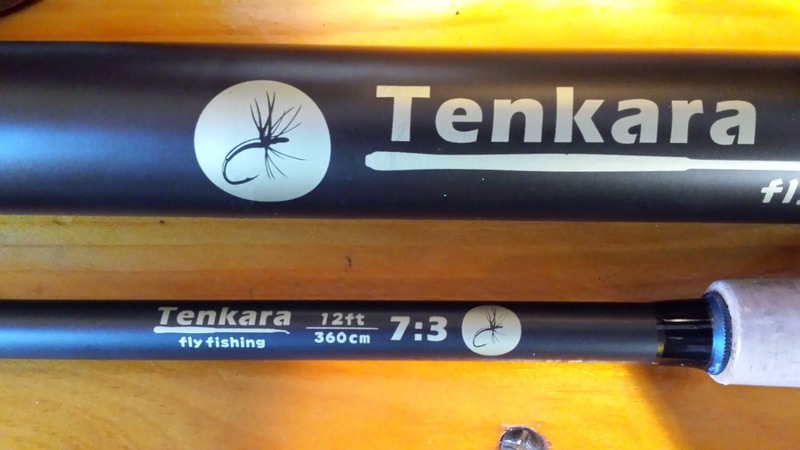 This past winter at the request of my 11yr old Son, we decided on a new Tenkara rod. As spring broke I began researching the gear, along with all the different rigging options. I worked with level line, a furled line, a hand tied tapered level line / leader configuration and lastly a floating fly line option. 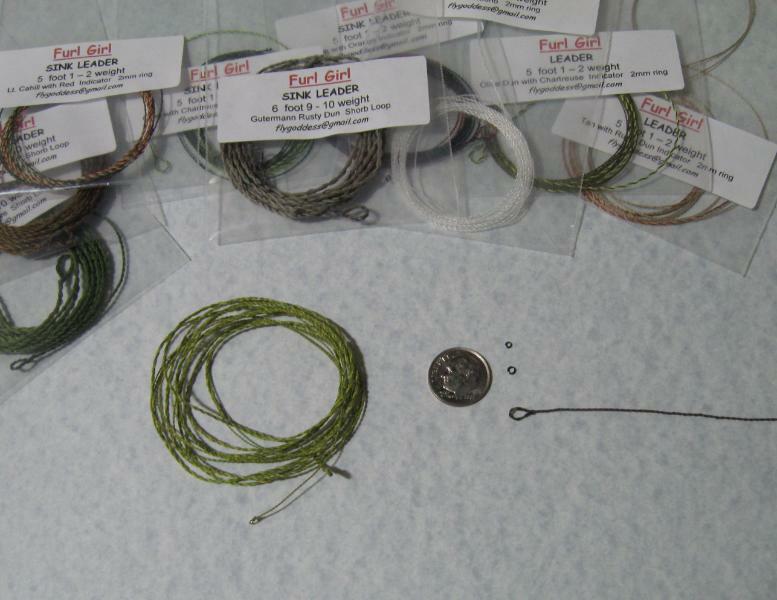 After lawn casting tests and one test on a local pond, I decided on the fly line option. With an old WF3 Cortland Sylk line laying around of no use due to a cracking head portion, I began with a 12' foot rear section of running line. On the rod tip end I tied a simple fishermens knot, and attached a 3" loop of backing via girth-hitch to the loop, which again girth-hitched to the rod tip. On the forward end I whipped a small loop with flat-waxed tying thread, touched it with superglue, then coated it all with Bug-Bond. 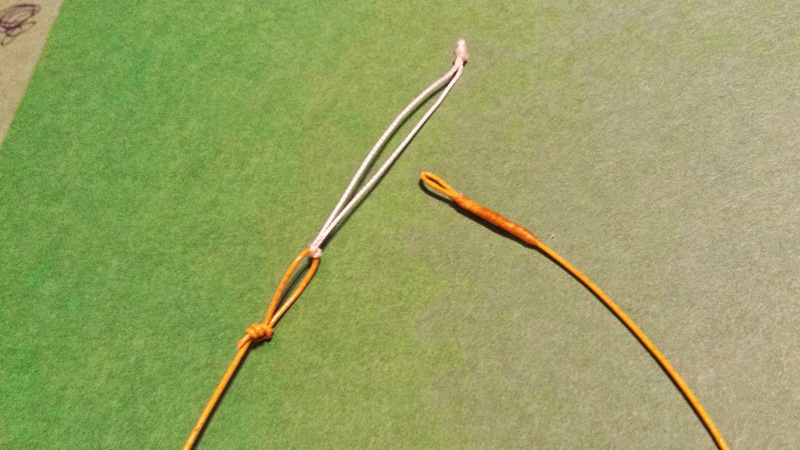 For the terminal end, I went with a 6' section of 5X Flourocarbon tippet loop-to-loop. It didn't take him long to work out the kinks on the water, which was amazing since it was his first time handling the rod on water. The line layed out casts from every angle with exceptional accuracy. We began with an REC beadhead under an indicator, and he quickly hooked up with a hefty Brown of 18" that after a long fight, Dad lost before a picture was possible while landing. I was amazed how the rig handled a #14 beadhead and 1/2" thing-a-ma-bobber. Changing tactics, he decided he preferred to fish without the indicator. So I tied on a #10 Little Pine Streamer and added 2 BB sized splitshot 12" up. This proved to be the pattern of the day. 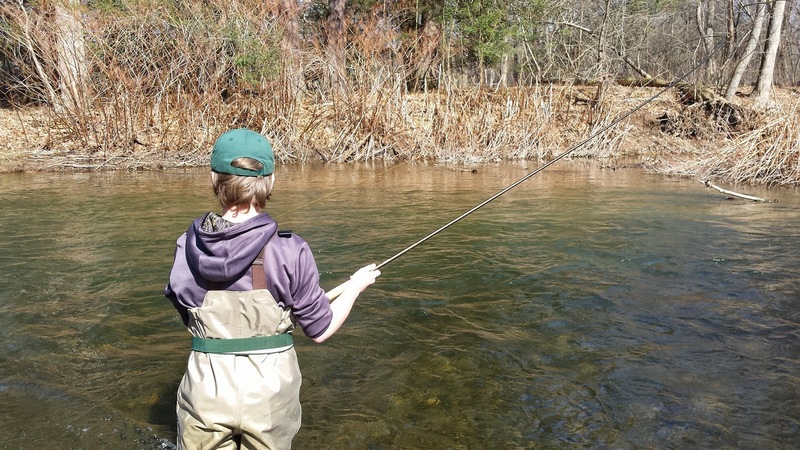 The rod held its own, as did my son as he worked several fish quite well and brought them to hand. I did my best not to lose any more. 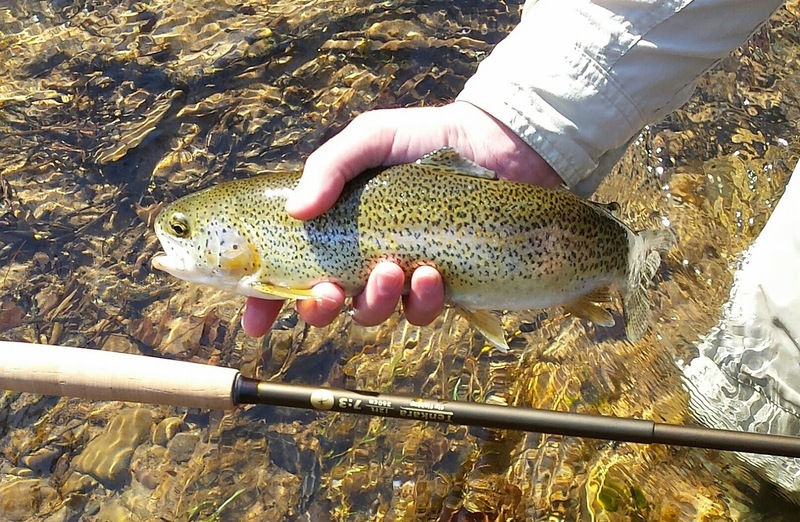 A fat 16" rainbow that gave him a run for his money with the currents as they were. The end result, the rod worked extremely well with the described rigging. 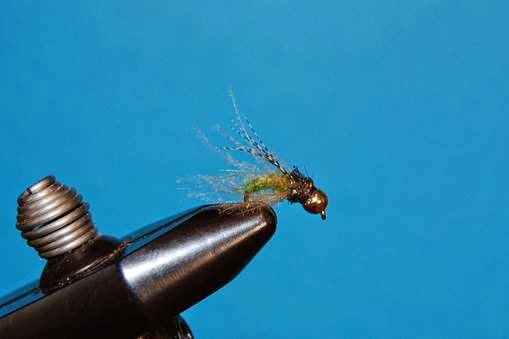 It even drifted dry flies very well. It showed it was able to flip weight cleanly. However, it is not without limitations. He did hook a very nice 20+ brown that he had hooked for about 5 minutes. However, being on the point of a gravel bar, and not being able to follow downstream....when the fish decided to head down, it ended very quickly. Without the ability to maneuver and follow, large fish are effectively a hope and pray reality. 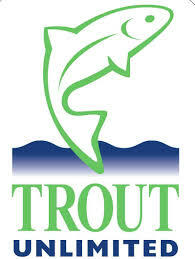 Taking some time to fish the reg as well myself for a short time, this is definitely an option in my mind. 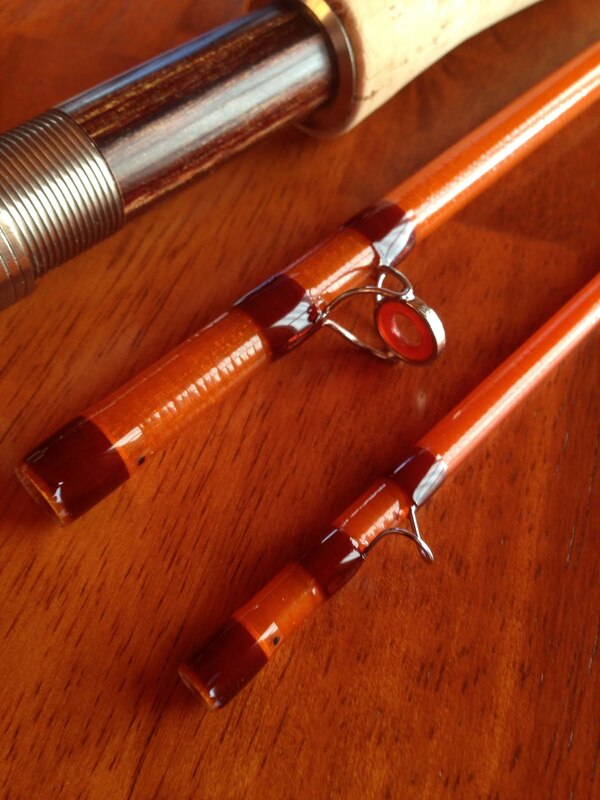 I would not feel short-handed with this rig, as it would not limit fly choice. It handled large fish very well also, with water/current being the most limiting factor. Jake is hooked, which was my hope. 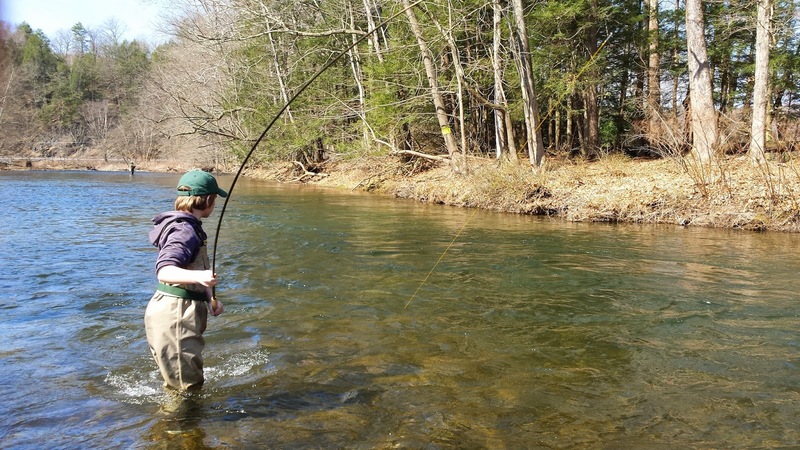 He decided he much preferred the Tenkara over a standard fly rig for moving water.